We have always been Different. 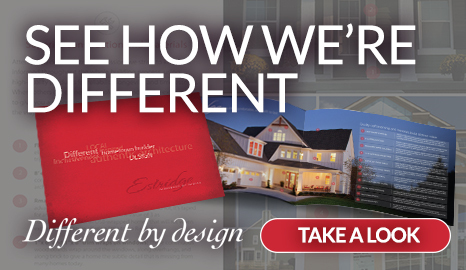 Our designs are different, our philosophy of serving our customers and our community is different. The way we do business is different. Being different is by design for us and it defines us in almost every way. It is very intentional and at the core of how we design and build our homes and serve our customers everyday. See how we're "Different by Design"
To Serve and Enrich the lives of each other, our families and everyone we touch. To continually grow as people, in our practices and our financial strength. To live, work and serve our community according to Biblical Principles. Our heritage begins in 1967 when my father founded Paul E. Estridge Company. Growing up I worked by his side and together we learned what it was like to start a company, develop sound business practices and build a team of the very best people. In 1983, anxious to start my own company, one that served a different segment of the market place, we formed The Estridge Group. Born from the concept of building entire neighborhoods of unique designs for individuals and families looking for homes that could be customized to their personal needs within their budget. 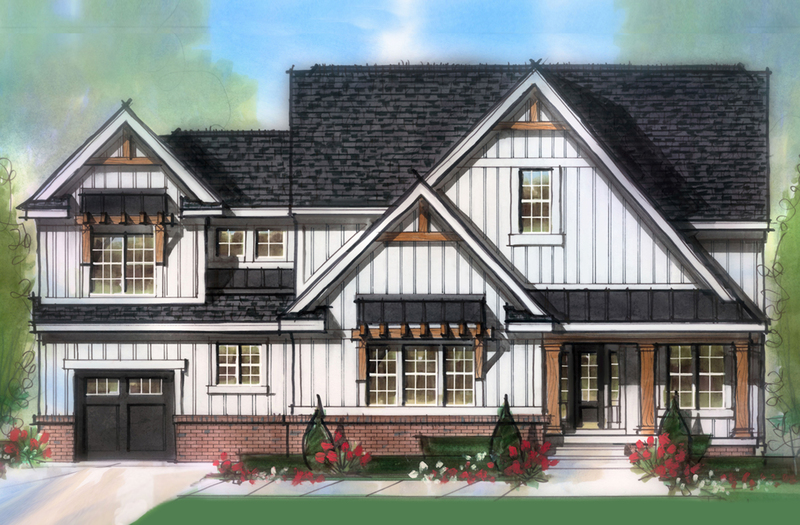 Since that time we have built over 8,000 homes in a wide variety of price ranges for young professionals, growing families and active adults, while also building some of the most exclusive custom homes and neighborhoods in central Indiana. Nearly weathering the six year storm of the housing downturn, it was with the heaviest of hearts we closed operations of The Estridge Companies in the spring of 2011. Although very viable as a home building company, building over 130 homes in our last year of business, due to the changes in the bank lending climate and regulations on home builders and land developers, we were left with no option but to cease operations after 43 years of business. The rapid collapse of the home building industry touched everyone in the industry. It was the most challenging and painful thing any of us had endured. I can now say that it was also the most transformative event of my life, both personally and professionally. The experience was packed with lessons and life calibration that I would not trade. Having endured such a challenging time, I believe I have a perspective today that makes me a better man, husband, father, friend, home builder and citizen. I learned that the size of a company is not important; in fact a home building company, like many other companies, can better serve its customers by being smaller and more focused on personal attention to each customer. Today I believe it is better to be smaller and more nimble so as to have the ability to say "Yes" to our customers' needs, rather than "No" because of policies and procedures designed to serve the needs of the company. After two years of preparing for the recovery of the housing market, I was very excited to open the "New" Estridge home building company. While we are a new company, I am proud to be joined by a dynamic group of professionals that make up the best home building team in Indiana. We have also partnered with many of the same great vendors and suppliers we have worked with for decades, the same ones who know how we build and what we expect in every aspect of the building process. Thank you for taking the time to read about our history. All of us are formed by where we have come from and what we have endured, and such is the case for me and our new company. We are born from a tremendous heritage and we are excited to serve you, your friends and your family for many years to come.